Kivalina is home to about 400 Inupiat people. Scientists say the tiny Alaskan village is falling prey to the effects of climate change — and might be uninhabitable within the next 10 years. The northwestern Alaskan village of Kivalina is perched on a remote and narrow strip of sand next to the frigid waters of the Chukchi sea. Its 400 residents are the descendants of an Inupiat tribe. And in just 10 years, these folk might just be America’s first climate change refugees. 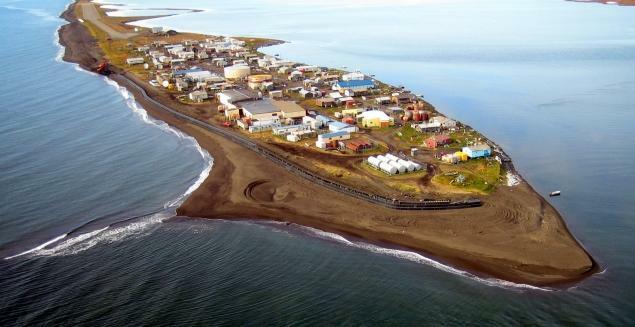 The U.S. Army Corps of Engineers predicts that Kivalina will be completely uninhabitable by 2025, a victim of melting ice, coastal erosion and rising sea levels.